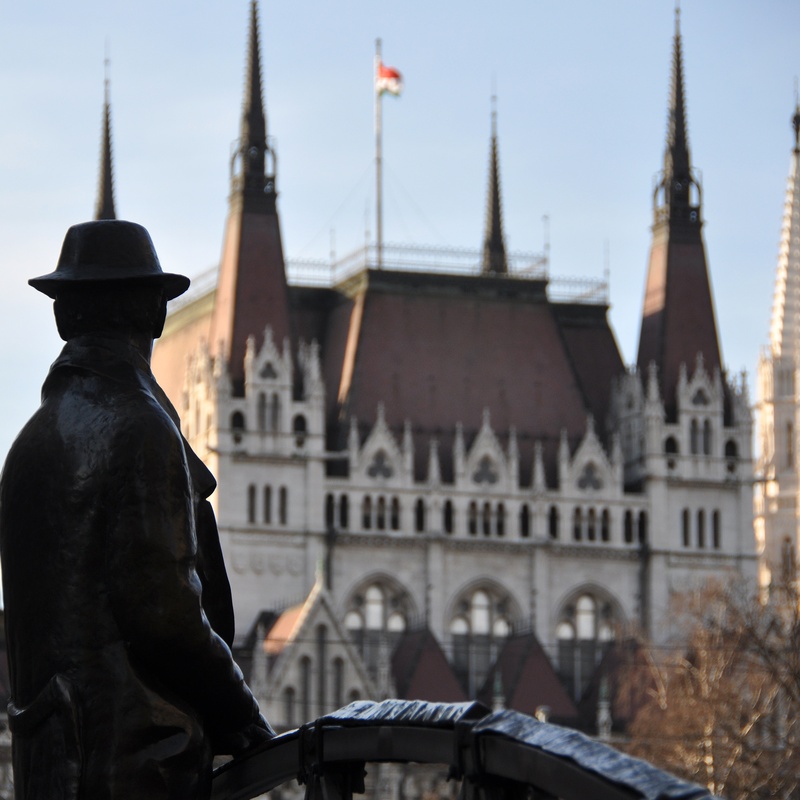 The Philosophers’ Trial and the Sinification of Hungary. Orbán Viktor, the prime minister of Hungary, is planning to visit China this spring. His visit will come a year after the criminal investigation against Agnes Heller — the best-known living Hungarian philosopher — and several colleagues in philosophy and history for possible embezzlement was dismissed for » lack of crime » of research grants following what the police described as an anonymous tip-off from a » member of the public ». In a YouTube video, Heller said she and her colleagues were victims of a political persecution of critics of Orbán’s government. By law, Hungarian state institutions are required to display the Declaration of National Accord, introduced by the parliament in which Orbán’s party has over two thirds of the seats. Since this year, schools have been transferred from local governments to the central state and are required, among others things, to teach pupils a « patriotic orientation ». This follows the new constitution, which declares the need for a « spiritual renewal » after decades « of moral decline », and establishes « the family and the nation » as the « most important framework » for that. For today’s high school students, all of whom received a gift copy of the new constitution, such terminology does not sound strange : they have grown up in a steadily growing nationalism. Those who challenge the dominant nationalist discourse — particularly from a liberal position, such as Jürgen Habermas who, along with some eighty foreign scholars, signed letters (here and here) in support of Hungarian colleagues — are routinely denounced as hostile to Hungary or dismissed as ignorant of its culture. While « culture wars » over the control of media and the arts have been part of Hungary’s politics since the first free election, the current government is not satisfied with merely replacing theatre and museum directors. Heller and opposition-minded Hungarian media believe she and her colleagues were specifically being punished for their vocal opposition to a new law that gives the government sweeping powers to penalise media that do not conform to a requirement of « balanced reporting ». The new constitution makes a formerly marginal institution, the Hungarian Academy of Arts, the main funder and regulator of arts institutions. Its octogenarian president has declared that he does not believe in democracy and that there is no place in state museums for art that is offensive to the church. In the past, I have published articles in Hungarian papers that pointed out the growing similarities between Hungary and China : the increasingly hegemonic discourse of « national harmony » used to justify unconstitutional meddling with institutional autonomy ; a discourse on history in which ideological conflicts are erased and great national heroes are presented in a seamless succession ; the replacement of legal arguments with moral ones in justifying criminal prosecution or violations of civil rights ; the rhetorical exclusion of dissenters from the nation and their automatic association with foreign interests ; the institutionalisation of nationalist symbols and rituals, including a government decree requiring the display of a Declaration of National Cooperation in every government office ; and now the end of independent institutions. I hoped that the irony of a government that has passed a law criminalizing the denial of the crimes of Communism while emulating the practices of a Communist party would not escape even its supporters. But it increasingly appears that a « Chinese model » of state-led growth at the expense of diversity indeed appeals to the government. Orbán has realised that — in his words — the » wind is blowing from the East », the World Bank hegemony is over, and Western investors will comply with far more protectionist rules than previous governments had thought if the alternative is losing market access. Hungarian critics speak of a Putinization of Hungary, but China is a more appealing model for aspiring state leaders than Russia. With time, Orbán’s foreign critics will be increasingly likely to believe the culturalist explanation for his relative success (his party remains at the top of the polls, if only with some 20 % of the total vote) that he himself proposed : that Hungarians are a « semi-Asian » people who sometimes just need a strong hand. Of course, this is the kind of self-Orientalization that China’s leaders, too, have successfully engaged in. And the polls, as well as a cursory look at Internet comments in both countries, seem to justify them. Yet, beyond discourses of cultural uniqueness, there is the vision of an international future. Orbán believes that the political system of the future is one in which the state, rather than the law, acts as the arbiter of conflict. Such a state will, as Hungary already does, tell capital to tone down its profit forecasts and labour, to back off its demands for higher pay, all in the name of national unity and harmony. Such a state can even, as contemporary Hungary, maintain an army of unemployed who are required to accept assignments for « public works », however far they may be from home, and use them to provide near-free labour for state institutions. Such a state can, as Hungary has, effectively push back the dominance of multinationals in some sectors (such as supermarkets), redrawing them in favour of « national » capital, which is more than willing to help out the fatherland’s leaders, should such a need arise. It is usually in the context of Africa that such capabilities are said to tempt political leaders supposedly still new to deliberative democracy : this is the proverbial « Beijing consensus ». How tempting is it in Europe outside Hungary ?